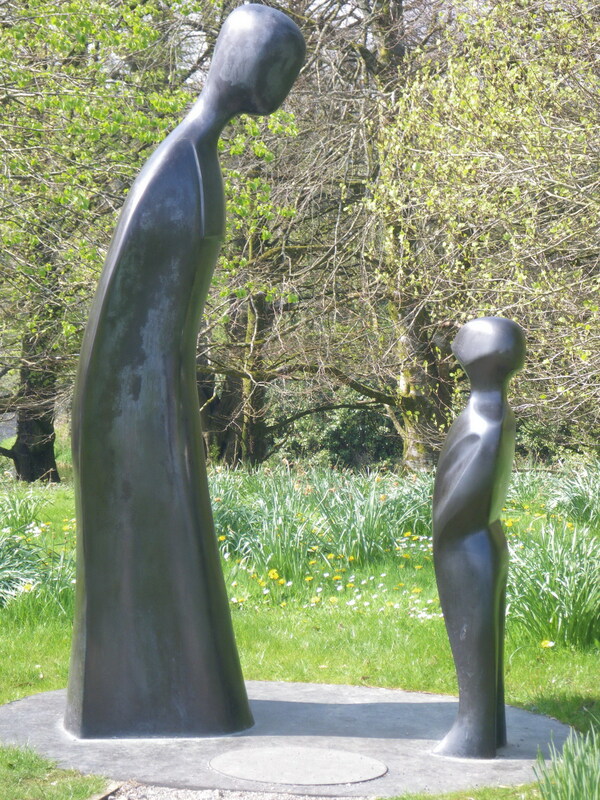 The bronze sculpture at Turlough Park, Counsellor II by Brother Joseph McNally, presented to Ireland by Singapore is an up-scaled posthumous cast (2004) commissioned through funds raised through donations of cash and artworks for charity sale by artists in Singapore and Malaysia.The depiction is of an educator-figure gazing kindly upon a child; the sculpture symbolizes the close and dedicated relationship Brother McNally had with Singapore and Malaysia. The Counsellor II recognizes his achievements as a teacher, principal, artist and mentor, it symbolizes his warmth and care to those whom he taught and befriended. Brother John Joseph McNally (b. 1923, Ballintubber, Ireland – d. 27 August 2002, County Mayo, Ireland), nicknamed Brother Joe, a brother from the Catholic De La Salle Christian Brotherhood who had dedicated 37 years of his life to teaching in Singapore and Malaysia. He later gained renown as a sculptor and artist and was also the founder and President Emeritus of the La Salle-SIA College of the Arts. Born in Ballintubber and at the age of 14, he left his home to join the De La Salle Brothers, the path of a religious educator rather than that of the priesthood. Teaching first at De La Salle College, Mallow, Ireland then moving to St. Joseph’s Institution, in Singapore, Brother Joseph continued to teach at St. John’s Institution in Kuala Lumpur, before returning to Ireland to pursue further studies at the Irish National College of Art, Dublin. Upon graduating, he taught at St. Paul’s Institution in Seremban, Malaysia (1955), moving on to teach at St. Xavier’s Institution in Penang in 1957. He was appointed as a staff member of St. Joseph’s Training College in 1958 and eventually become the Principal of St. John’s Institution in 1963. He also took up Malaysian citizenship in 1965. He became a Singapore citizen in 1985. At his retirement in 1982, he threw himself into arts and education and founded the La Salle-SIA College of Arts, which now houses the original Counselor I, a wood sculpture from 1983. In addition to an educator, he was also an artist and for his works was awarded the Meritorious Service Medal in 1997 by Singapore. 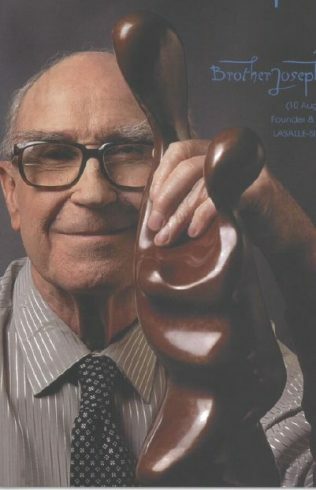 Brother Joseph Mc Nally had been a prominent figure in Singapore’s art scene since the mid 1950’s; his notable contribution was the setting up of the La Salle-SIA College of the Arts. Owing to his vision and determination, the college has become a premier arts institution of international repute. Brother Joseph was also a highly regarded sculptor, having created over 200 works (sculptures and paintings) in his lifetime, using a diverse range of materials such as wood, bronze, glass and metal. 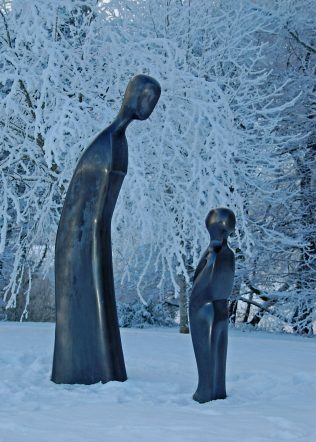 His sculptures are an ingenious blend of both the East and the West, centering on the themes of humanity and nature and are strongly influenced by Celtic mythology incorporating the human figure, symbol and cultural values from Southeast Asia. Many of his sculptures were created out of thousand-year-old oaks from peat bogs that were shipped to Singapore recovered during his bi-annual vacations in Ireland. For his distinguished contribution to the arts and to Singapore, Brother Mc Nally was awarded the Meritorious Service Medal, presented to him by his Excellency, the President of Singapore in 1997. A measure of the Ballintubber man was his sense of occasion of this great event, he said “for such an important occasion I felt it appropriate to wear the official dress of the De La Salle Brothers as worn throughout the world. It is a black robe with the white Rabat. The medals I wear are my earlier Public Service Medal and the Rotary Paul Harris Award. As to how I felt on the occasion, “Deep humility that my adopted country should reward me for doing what I truly consider my duty”. In the foreword to the ‘Wind of the Spirit’ a Retrospective Exhibition of Brother Joseph Mc Nally, a 1998-1999 exhibition to commemorate the conferment of the Meritorious Service Medal on Brother Joseph Mc Nally for his outstanding achievements as an artist, cultural activist and educator, Liu Thai Ker, Chairman National Arts Council said, ‘ the conferment of the National Day Meritorious Service Medal on Brother Joseph Mc Nally is a clear recognition of an individual who has accomplished much as an artist, educator and cultural activist. The National Heritage Board is indeed proud and privileged to be a co-organizer of this exhibition acknowledges Brother Joseph Mc Nally’s significant contribution in various fields’. Brother Joseph died at the age of 79 as a result of a heart attack, while visiting his home on 27th Aug 2002. 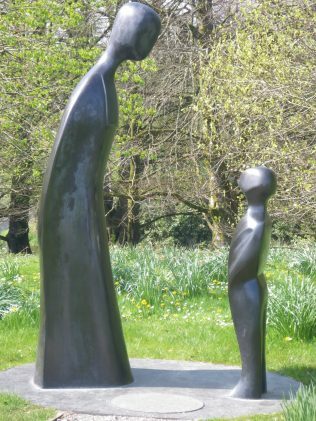 The bronze sculpture pictured and measuring 2.9m in height is situated in the grounds of the National Museum of Ireland – Country Life in Turlough, Co Mayo. Courtesy of extracts from the brochure “Inauguration of Counsellor II in Ireland – 17-20 Sept 2004”.